New and classic. With this shoe you will not be able to avoid admiring glances. 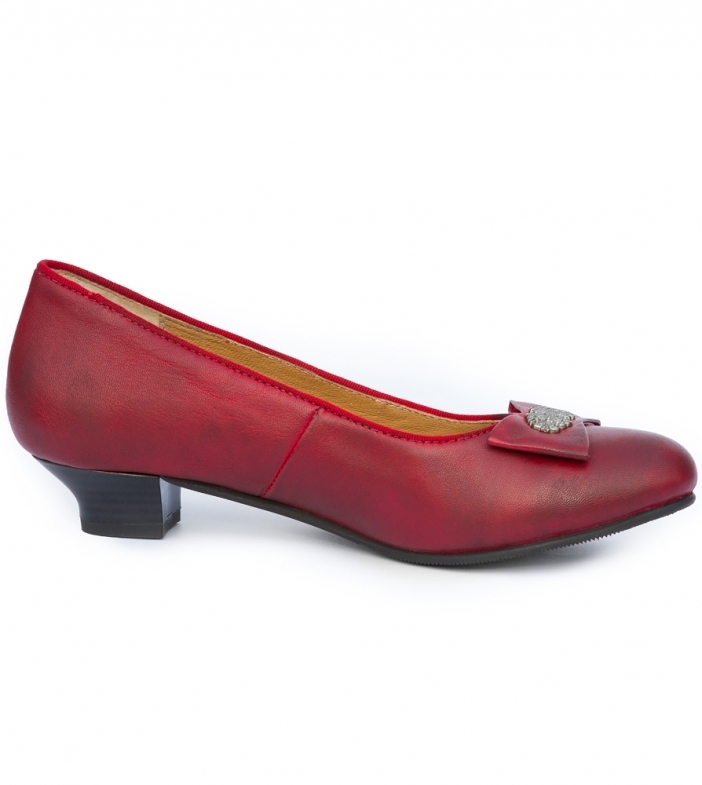 The chic leather shoe in red is a real eye-catcher. Not least because of the white sole, but above all because of the new material mix of suede in combination with patent leather, this shoe has a really unusual look and a completely new design.